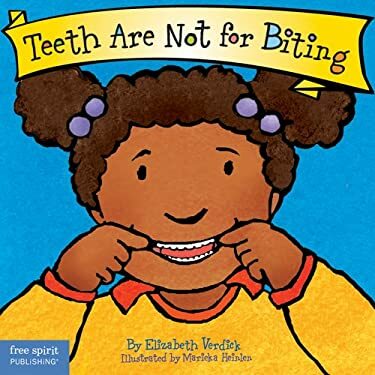 The companion to our best-selling "Hands Are Not for Hitting" Board Book, "Teeth Are Not for Biting" gives reasons why children might want to bite. Little mouths feel sore when new teeth come in; sometimes kids bite when they're hungry, tired, cranky, frustrated, angry, bored, distressed, or seeking attention. Author Elizabeth Verdick suggests positive things children can do instead of biting: chew a chewy toy, drink a cold drink, get a hug, tell a grown-up. This book also includes helpful tips for parents and caregivers.